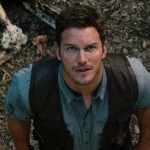 Owen Grady was employed as a Velociraptor trainer on Isla Nublar as part of the I.B.R.I.S. project. He resided in a bungalow beside a lake away from the tourist area of Jurassic World. Prior to his employment at Jurassic World, he worked for the Navy, which was the primary reason for his employment by InGen. Owen Grady was played by Chris Pratt. He has green eyes, a beard and mustache of overgrown stubble, and a overgrown military stle flattop hair cut. Owen Grady was hired by InGen in order to help train Velociraptors for the I.B.R.I.S. project. 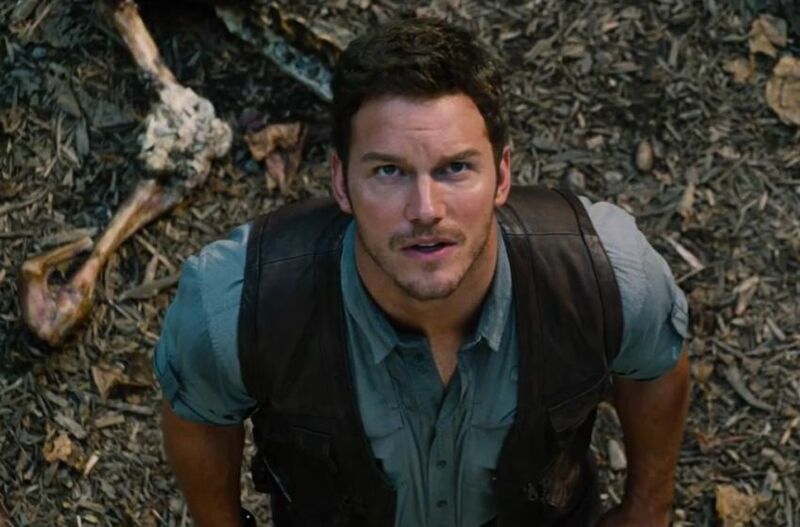 In 2013, Owen Grady recommended that Vic Hoskins hire his friend Barry to assist him with the training of the Velociraptors. Owen also went on a date with Claire Dearing during this time, however it did not go well, and there was no second date. Owen Grady conducted a training session for the Velociraptors with Barry and Hoskins in attendance at the Raptor Paddock. Hoskins congratulated him on his success training the Velociraptors and attempted to convince him of the possibility for military applications of the dinosaurs. Owen argued with him about this, and Hoskins ended the argument by indicating that he had been hired for that purpose alone. Just then, a paddock worker named Leon fell into the paddock and the velociraptors were about to attack him. Owen Grady ran into the paddock, warning the staff not to shock the raptors, otherwise he would lose their trust. Instead, he managed to utilize their training to ward the raptors off, buying time for both him and Leon to escape. Afterwards, he chided Leon and advised him never to underestimate the Velociraptors. 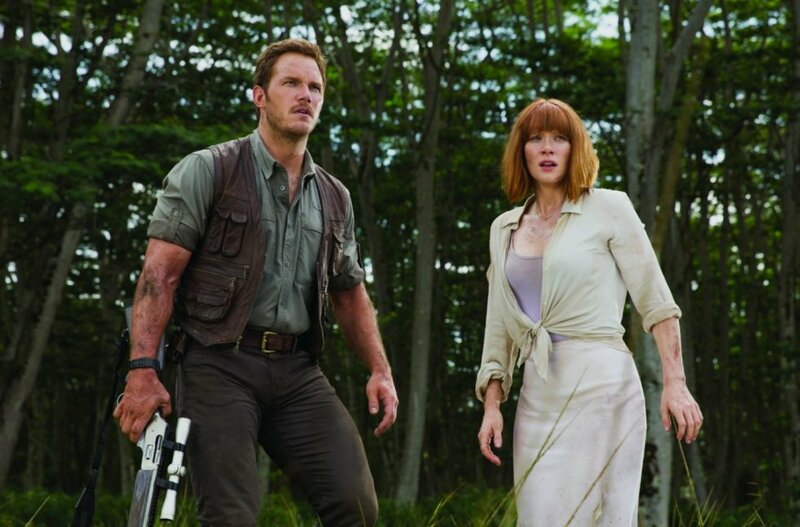 Claire Dearing drove to Owen’s bungalow in order to convince him to inspect the Indominus rex paddock and give the staff advice on the animal. However, Owen attempted to flirt with her, and brought up the events of their prior date. 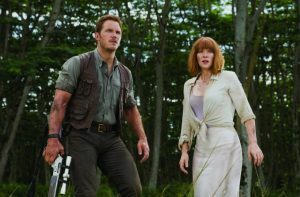 He then traveled with her to the paddock, where they discovered that the Indominus was apparently missing from its paddock. As Claire raced to the control center, Owen inspected the paddock to verify how the animal had escaped. Minutes later, Owen received a warning via radio that the animal was still in the paddock. He attempted to escape, but the Indominus blocked his way, forcing him to run through the paddock’s loading bay. As the hybrid broke free, Owen hid under a nearby truck and cut the fuel lines, drenching himself with oil to mask his scent. He could only watch in horror as the Indominus ate a nearby park worker, before the Indominus attempted to sniff him out, forcing him to stay completely still until it left. Afterwards, Owen Grady went to the control room, confronting Claire Dearing on the need to secure the area and shut down the park. He left after she initially refused to shut down the park. Later, Claire Dearing found him in the Innovation Center and asked for his assistance in helping her find her nephews, Zach and Gray Mitchell. He drove with her outside of the park, following the trail of the Gyrosphere‘s last known movement. last moments, and soon realized that the Indominus was killing for sport after discovering five more corpses nearby. Following the trail, they encountered the crashed Gyrosphere, Owen determining that it was the result of an Indominus rex attack after discovering a tooth. Initially believing the boys were dead, Owen and Claire followed their tracks to a nearby waterfall. Realizing that this was a dead end, Claire persuaded Owen to allow her to join him in his search for the children. Owen agreed reluctantly, and they abandoned the car to follow the boy’s tracks. They followed the trail to the original Visitor’s Center garage, where Owen discovered a shirt, confirmed to be one of the boys. He attempted to jumpstart one of the jeeps in order to follow the boys, but was ambushed by the Indominus rex. The Indominus rex crashed through the wall of the garage forcing the pair to flee. They ran through the Visitor’s Center as they escaped through the front door. The pair followed Masrani‘s helicopter to the aviary although they could do nothing but alert the control room the Indominus rex was heading there. Owen and Claire ducked as the Pteranadons escaped, avoiding the initial attack. After the Pteranadon breakout, they managed to reach a staff area where Owen and Claire took an ATV back to main street. Upon arrival at Main Street, Owen attempted to help the ACU security forces with the breakout, shooting the escaped animals flying around. However, he was assaulted by a Dimorphodon which pinned him to the ground and tried to maul him. Claire Dearing saved his life by killing the Dimorphodon, and as he got up, Owen kissed her. As they reunited with Claire’s nephews, the panicked crowed broke through a staff door, forcing Owen and the group to huddle in car for protection. Afterwards, Owen received the news that Hoskins was about to utilize the raptors in a field test and quickly hurried to the Raptor Paddock in an attempt to stop him. After punching Hoskins, he quickly realized that he would be unable to stop him from utilizing the raptors and instead reached a compromise where he would lead the raptors in this field test. He led Hoskin’s men through a brief planning session deciding how they would begin. After the raptors were released, Owen rode with them on his motorcycle as the InGen Soldiers followed behind. As the Raptors tracked the Indominus, Owen, Barry and the InGen soldiers waited as the predator confronted the raptors. Owen and Barry quickly realized after the Indominus communicated with the Raptors that the animal must be part raptor as well. However, the confusion caused by Hoskin’s premature order to fire caused both the raptors and the Indominus to scatter. Owen led the InGen soldiers on foot through the jungle to attempt to track down the Indominus and the Velociraptors. He succeeded in finding Charlie after she had killed an InGen soldier. Owen was close to getting the raptor to obey his commands when a rocket launcher hit the Velociraptor, killing her instantly. Owen then rescued Barry from an attack by Blue as he distracted her with the clicker. He drove off as Blue gave chase. Later, he caught up with Claire’s ambulance, and followed the vehicle to Main Street. He parked his motorcycle on Main Street and ran into the Visitor’s Center with the group. They reached Henry Wu‘s secret lab, where they were confronted by Hoskins. After Delta killed Hoskins, the group fled outside, where they were confronted by Blue. Delta and Echo quickly surrounded them. Just as it seemed the raptors would attack, Owen put down his gun, and approached Blue. Taking off her camera headset, he managed to regain his alpha position in the pack. However, just then the Indominus arrived on Main Street. Owen attempted to shoot the Indominus while Claire and the boys hid in the gift shop. As his shots had no effect, Owen hid in the gift shop with the children while Claire ran to Paddock 9. Meanwhile the Indominus broke into the gift shop, and attempted to drag Gray out. Owen and Zach held onto Gray, preventing the dinosaur from pulling him out. Shortly after, Owen and the boys fled the gift shop as the Tyrannosaurus smashed into it during its fall. After the fight, Blue looked back at Owen, hesitant, but Owen simply nodded, releasing her from his pack. 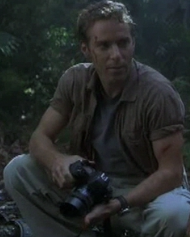 After the evacuation of Isla Nublar, Owen and the rest of the guests and personnel waited in a hangar in Costa Rica. Owen and Claire walked away from the hangar, with the implication that they would form a relationship.